It is now time to rank all the Zelda games. UPDATE (3/13/2018): Now that Breath of the Wild has been out for a year, I’ve updated this post (which originally ran in February of 2017) and added Nintendo’s latest Zelda to the list. Enjoy. These rankings DO take aging into account. The two NES games have not aged well. The random encounters are irritating and it’s hard to figure out how to make progress without a FAQ, but Adventure of Link isn’t a bad game—it’s just tough to play today. It also invented the downward stab move that led to Shovel Knight, which you should probably play instead of bothering with Zelda 2. Remember when Nintendo was obsessed with the DS’s touchscreen controls? To the point where they made a Zelda game where you couldn’t actually use any buttons? You’ve gotta respect the Zelda crew’s willingness to innovate, but the results were subpar, especially when combined with Phantom Hourglass’s godawful Temple of the Ocean King, a dungeon you have to revisit at least five times just to finish the game. Spirit Tracks, the only Zelda game that lets you ride a train, is a little better than Phantom Hourglass—no more repeating dungeons!—but sticks with those awful stylus controls and is full of tedious sidequests that require you to do a near-endless cavalcade of errands for people. If you’re into Ubisoft games with lots of dull side missions, Spirit Tracks is for you. Might be higher on this list if not for Fi, dousing, tutorials, and cat-chasing. At least the motion controls were cool? Twilight Princess has some of the most interesting items (Spinner! Double Clawshot!) and best dungeons (Snowpeak Ruins!) in the series, but it also suffers from tutorial bloat and one of the more boring intros of any Zelda game. At least you can turn into a wolf. Here is where we start entering “generally incredible” territory. Ocarina of Time, like the next seven entries on this list, is an excellent game. 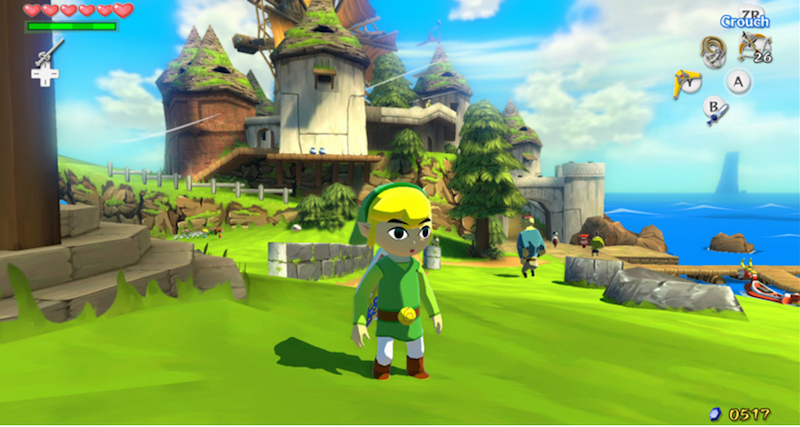 It set a new bar for Zelda and revolutionized the concept of an “open world” in video games. Although it isn’t quite as awe-evoking in 2018 as it was in 1998, it holds up very well today, especially on 3DS. Link Between Worlds, a direct sequel to Link to the Past, shakes up the Zelda formula in one groundbreaking way: It puts all the items in one place. Instead of acquiring items in dungeons as you would in other Zelda games, you’d rent or buy them from a shop and then use each one to access a specific dungeon. One dungeon, for example, requires the fire rod. Another asks you to bring bombs. The problem with this structure is that it makes puzzles far too easy—if you’re in the bomb dungeon, you know you won’t need the boomerang—but Link Between Worlds is clever and satisfying nonetheless. When Majora’s Mask first came out, the timer scared me off. A Zelda game where you had to rush through everything in three days and you couldn’t take your time to explore each dungeon at your own pace? No thank you, said teenage Jason. But when I played it in 2015, I realized that Majora’s Mask actually adds a brilliant new dimension to the Zelda formula, forcing players to think about puzzles not just in terms of who, what, and where, but in terms of when. It’s weird and gloomy and very cool. In the Oracle games, you can change seasons by standing on a giant stump, ride a kangaroo, and use a pair of magnetic gloves to cross chasms by pulling yourself to metal objects. Both games are surreal, charming, and somehow more entertaining than most of their 3D counterparts. I highly recommend them. You probably know that Link’s Awakening is excellent. What you might not realize is that it’s tiny. You could walk across the entire island of Koholint in two or three minutes. But because each area of the map is so dense, full of interesting secrets and puzzles and things to discover, the world of Link’s Awakening feels much larger than it is, which is exactly what you’d want from a Zelda game. Link’s Awakening is tough but never unfair. It asks you to backtrack often but is never boring. And it’s got a story with far more impact than any other game in the series. What’s become clear in the past year is that critics’ initial reactions to Breath of the Wild were on the mark. The 2017 incarnation of Link’s adventures isn’t just his best game to date, it’s an accomplishment that we’ll be discussing for decades. The simple fact that you can climb on anything you see opens up new avenues for exploration and creates a world where you are almost never told “No.” In 1986, The Legend of Zelda made players feel like they were visiting a massive fantasy world. In 2017, Breath of the Wild actually delivers. It is a game that designers will study. We’ll be discussing it for years to come.